We have a team of very experienced HPC Registered Occupational Therapists able to provide consultancy and advice services to Housing Services, Grants Departments, Home Improvement Agencies, Housing Associations, Surveyors and Architects and Charities. Able 2’s Occupational Therapists are highly skilled and experienced in the design of major adaptations and it is our objective to recommend work to clear and consistent standards whilst skilfully combining the needs of the disabled person within the practical constraints of their property. Our Occupational Therapists are aware of the need to recommend adaptations which provide the most economic way of providing for the identified needs and maximise the abilities of the disabled person. In this role we are able to carefully negotiate the essential needs of the person versus the wants and ineligible elements whilst respecting the person as an individual with their particular cultural, religious and ethnic needs. We provide a design brief which fully outlines the requirements of the disabled person, including comprehensive measurements and information, completely agreed with those involved. 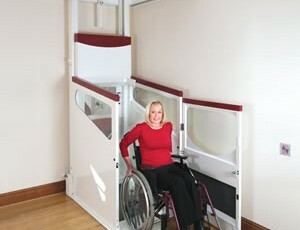 This enables the Surveyor or Architect to progress the adaptation quickly and efficiently, confident that the scheme meets the needs of the disabled person and their family. We can progress major adaptations following an Able 2 Occupational Therapy Assessment or receive a referral following the Local Authority Occupational Therapy recommendation and identification of need. Thus relieve their staff from holding cases open for extended periods and enable them to respond to the new referrals received for assessment.